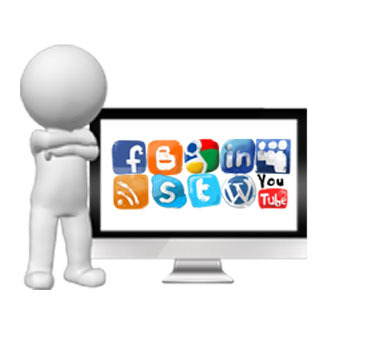 Social media is important for any business to use. Make sure you post about your upcoming webinar on your Facebook page so you can gain exposure with all your followers. Your followers will also have the opportunity to share your announcement on their Facebook pages to increase your exposure. However, this isn’t the only way you can use Facebook to promote your webinar. Post on your personal page, send out an invitation to your followers for the event and set up a Facebook ad. With the use of all the tools available on Facebook, you can reach a large audience. Twitter can be a great tool when it is used properly. When your webinar is just a few weeks away, you can start sending out regular tweets about your webinar. Sending out just one won’t work; however, you need to find just the right balance of how many to send without posting too often so people are sick of reading about it. You may also want to reach out to others in your industry to ask for retweets and encourage people to use the hash tag #webinar to help people find the information about your webinar more easily. LinkedIn is one of the greatest forms of social media for businesses to use. Geared toward businesses, you will be able to more easily reach other industry professionals who are most likely to be interested in your webinar. When you initiate an invitation through LinkedIn, anyone who accepts the invitation will automatically generate a notification on their own page, increasing your exposure to all their connections. In addition, you can purchase advertising space on LinkedIn, just like you can with Facebook. If your business is in an industry that uses publications to reach out to professionals and consumers, you may be able to place an ad for your webinar there. In some cases, posting your webinar in these publications may be free. However, even if you have to pay a small fee for the ad, it can work to your advantage by reaching a highly targeted audience. YouTube – If you want to use a video for an introduction to your webinar, posting it to YouTube can be a great way to get people interested. Press Release – A press release is always a great way to make an announcement about your business. A webinar you are hosting is the perfect opportunity to make use of a press release and spread the word. Mailing List – If you have compiled a list of repeat customers and those interested in your business, you can make use of that list and send out email invitations to your webinar to a targeted group of people who are likely to be interested. Blog Post – Many businesses have their own blog. Use your blog to make a post about your upcoming webinar to share with your readers. If you don’t have a blog, find out if you can create a guest blog post for another company within the same industry. Email Signature – Put a link or short blurb about your webinar in your email signature. Anyone who receives an email from you will learn about your webinar. Craigslist – Free postings are always great for promotion. Make use of Craigslist to let people know how useful your webinar can be to them. Proper promotion of your webinar will help boost your attendance numbers. The more people you can reach, the greater impact your webinar will have, giving you an edge over your competitors. Onstream Media webinars provide a simple and cost-effective way to communication information to all of your key publics.